The dream is the easiest part. On vacation, you wake up in the panoramic embrace of mountains, pristine beaches and lush rainforest canopy, which kick-starts the daydream about what ‘Pura Vida’ could be like. Costa Ballena, one of Costa Rica’s best kept secrets, is a landscape painted by dreams, but the decision to actually invest in property in a foreign market is a whole different story. From an investment perspective, Costa Ballena real estate values are expected to rise by 5-10% per year for the foreseeable future, with low property taxes and high rental market demand. But for many, the decision to invest a life in a dream shaped by many factors, in a foreign country, goes far beyond the realm of market projections. Providing insight into the thought process of actual buyers, here is the first in a series of ‘buyer perspectives on important decisions’. Buyer #1 is widowed and semi-retired. The 65-year old from the U.S. Midwest purchased a three-bedroom, ground floor unit at Élan at Ballena Beach with her sister-in-law. What brought you to Costa Rica initially? 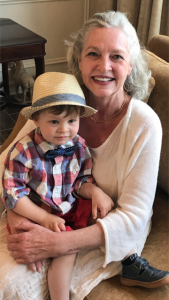 My sister-in-law has owned a beautiful mountain villa in the region for 15 years and her enthusiasm for the natural surroundings and the emerging real estate market in Costa Ballena was contagious. We toured the project at Élan, which was well under construction, and it reignited my interest in buying in Costa Rica. What makes Costa Rica attractive in terms of ownership? Costa Rica is like the Switzerland of Central America. It’s stable, safe and democratic, with an environmentally-sensitive government that has kept the region pristine. What lifestyle factors drew you to Costa Ballena? We’re very excited about the combination of nature and luxury. In the middle of the rainforest, with the addition of thousands of plants from the property’s own nursery, some of the amenities are pure indulgences, including high-end finishes in the condo, a private outdoor massage area and magnificent pools. We feel reassured by the presence of four distinct water sources and we love the clever use of solar energy technology to reduce electrical costs. The engineering of the drainage system around the property and the proposed security perimeter provide us with added confidence in the protection of our environment. Once you were focused on Costa Ballena, what brought you to the offices of Axiom Development Group? To be honest, we were just kicking tires at first, but we had heard about the unique aspects of Élan and wanted to see it. We were particularly lured by the beach access, given that Élan is the only development in the area with a concession on that beach. The proximity of Élan to the beach is unique for property in Costa Rica. How did the project fit into the natural surrounding environment? The careful placement of the structures and the swimming pools has left the jungle quite intact, and we’ve seen the flowering indigenous plants in their massive nursery. The planned landscaping around the property promises to be spectacular and we expect to be able to work with the master gardener to achieve maximum privacy around our unit. Our direct jungle view also provides us with a stunning picture wall. What are some of the features that contributed to your decision to purchase? We could visualize ourselves living there, in a community that I think will be warm and sociable. On the inside, we were very impressed by the finishes and furnishings of the model unit. On the outside, the Garden of Eden setting of pristine Ballena Beach is probably the number one factor, and we are excited by the prospect of occasional whale sightings. Did the developer play an important role in your decision? Absolutely. We found the developer to be experienced, with a great track record worldwide and a deep respect for the environment. The Developer has gone through the process of guaranteeing the full project as per the requirements of the Ministry of Economy, Industry and Commerce of Costa Rica, which proves the financial capacity to complete a project of this magnitude. That was a big factor for me, as I have no doubt now that the developer will reach all of their stated goals. How were your interactions with the Axiom sales staff? 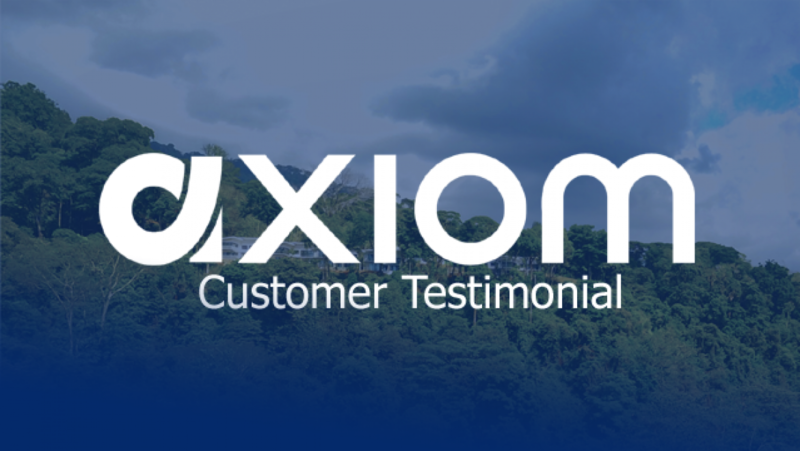 All of our contacts at Axiom have been positive, enthusiastic and knowledgeable. We are confident in their presentation of the facts and figures surrounding the project and we have already begun the process of developing friendships. They have been very helpful and they’ve been responsive to all of our requests and inquiries. You are still ahead of closing, but how is the process going? As per our contract, we have paid three installments thus far via wire transfer to a Costa Rican escrow agency, who then releases the funds to the developer. The process has been very smooth. It is my understanding that we will need to form a corporation in Costa Rica and we will then put the property under the corporation’s ownership. Now that the decision has been made, what is your ‘Pura Vida’ dream? I think I will learn to indulge a little, perhaps with a massage, or in the convenience of dinner prepared by their chef on occasion, or in an early morning lap in the adult pool. I’m going to get to know the jungle creatures well and, when the time comes, I will help carry hatchling turtles from the jungle hut to the sea. I envision life in a little beating heart of civilization in the jungle, at the water’s edge. I’d like to see my investment grow for the next three decades, at least on paper, in a place where I can grow old, due to the design of the unit and its easy access. We see this as a reward for our senior years, and we’re cutting no corners on furnishings and the interior design of the nicest condo unit that either of us has ever owned.